a perfect partner for me. My flawless one, will you arise? How are you showing up behind closed doors? How is your relationship with your spouse? How would you like to add some passion back into your marriage? We can learn to Show Up Well all the way from the Boardroom to the Bedroom! In our Professional life and our Personal life! This tiny little book will create Tremendous Transformation when applied to your marriage. I know the pain of divorce. Let’s stop it! One of the ways our relationships erode is by focusing on everything else other than our spouse! 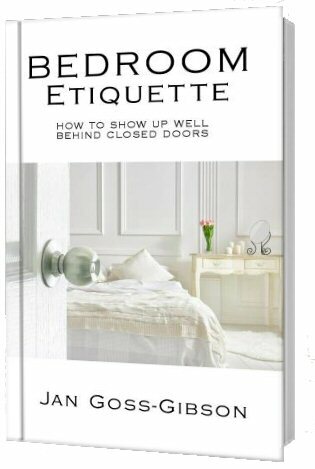 In Bedroom Etiquette – How to Show Up Well Behind Closed Doors I give practical, inspiring simple action steps to add a little steam back into the soul of your marriage. It begins with creating a sacred space. It ends with … well … a happy ending! Isn’t that what we all want? A happy ending to our fairy tale? A strong relationship at home is a foundation for extraordinary success. Your marriage can be your fairy tale. What good is it if you build an extensive empire if your home life is in shambles? Bedroom Etiquette gives simple steps so you can Show Up Well Behind Closed Doors! Make this season THE BEST for you and your spouse! Send this link to every couple you know. Let’s keep marriages STRONG as we head into 2019! We can ALL learn to Show Up Well Behind Closed Doors!